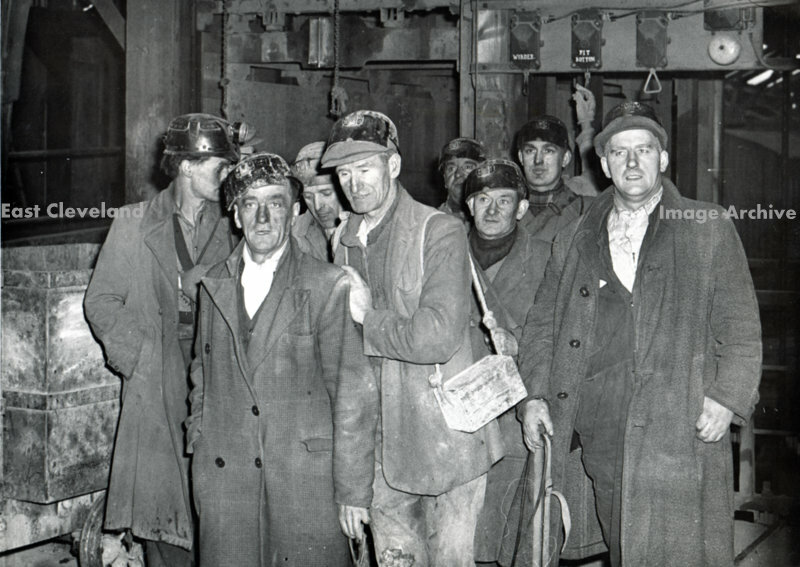 1962 and the final day at Lingdale mine, the miners are coming out of the Shaft Cage for the last time. In the background a miner’s hand can be seen about to pull down on the handle marked Pit Bottom, to tell the Onsetter at the bottom of the shaft the cage is clear. The handle on the left is for the winding engine. Identification of the miners in this image or corrections will be welcomed.